In the month of April 2017 Staat van Beleg could list 744 human rights violations, and 184 reports/analyses (see our archive). Every month we are highlighting another aspect of the occupation of Palestine. This month we would like to show how the Palestinian occupation by Israel surpasses apartheid. On 28 March the South-African freedom fighter Ahmed Kathrada passed away. 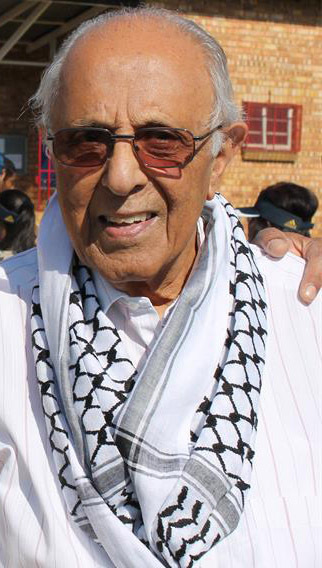 Kathrada was also active for Palestine and a supporter of the BDS-movement. He claimed that the situation in Palestine surpassed apartheid. South African politician, political prisoner and anti-apartheid activist. Just before the death of Kathadra the United Nations Economic and Social Commission for Western Asia (ESCWA) released a report which concluded that “Israel established an apartheid regime that oppresses and dominates the Palestinian people as a whole”. Three days after the report was published head of ESCWA, Rima Khalaf, retired under pressure of the Secretary-General of the United Nations and Israeli officials. The report was banned from the commission’s website. 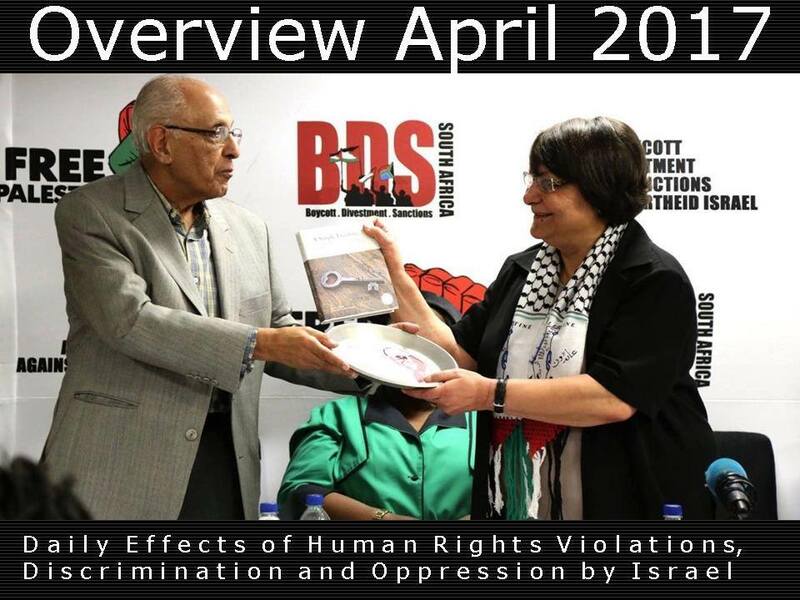 Whether apartheid laws in Israel are being implemented or not is not really relevant since many laws are being ignored either tailor-made to pretend legality. Whether certain practices are forbidden by international law seems no concern for Israel. The so-called autonomy in Gaza as in area C of the West Bank is of little significance because of the imposed restrictions by the occupier. The daily Israeli incursions of Gaza where borders are being crossed and farmers cannot work safely on their lands because of Israeli gunfire. The destruction of crops including the use of herbicides sprayed from airplanes, bulldozing lands, the harassment and torture of Palestinian farmers and preventing them to reach their lands. Dumping sewage from illegal Israeli settlements and waste of (chemical) Israeli factories on Palestinian lands. 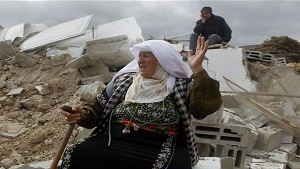 Settler violence under protection of Israeli army or police. The daily assaults on places of worship. Fishers in Gaza who are being attacked by Israeli navy boats within the Palestinian fishing zone. Fishers are being arrested and their boats are often confiscated. Recently a Palestinian fisher drowned in the sea after his boat was attacked. Palestinians who have to wait for long hours in the middle of the night at checkpoints to reach their work in time. Most of the time the distance to their work is only a few kilometers. Palestinians who cannot reach hospitals in time or not at all. Children who are being terrorized to and from their way to school. Raids in schools, working places and the nightly raids in houses. And let’s not forget about the little pleasures in the lives of the Palestinian people. A picnic in springtime on their own lands could be cruelty interrupted by Israeli settlers. The same settlers who are using water basins, privately owned by Palestinians, for swimming. Or children who are violently being expelled from playgrounds by settlers. Think about the harsh restrictions on import and export resulting in major defects in the Palestinian economical growth. In the case of Gaza after the Israeli attacks in 2014 these restrictions are causing serious delays for a proper reconstruction. No permission for building airports and ports. The most striking example is probably given in the picture placed below. Because of the Israeli water apartheid the Palestinian people have no rights on sufficient and clean drinking water. This drinking water is almost unaffordable for them en is being stored in large water tanks on their roofs. 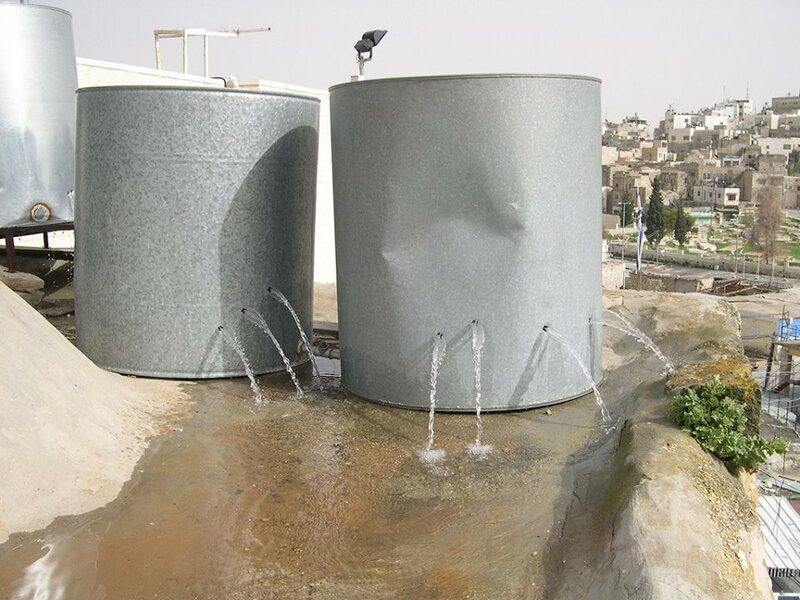 These water tanks were being destroyed by settlers who punctured the tanks and are getting away with it. These are just some examples in a series of daily intimidations, restrictions and aggressions which has shown that Palestinians even within their small habitat cannot live a safe and decent life. This goes far beyond apartheid! It is a planned obstruction of any form of Palestinian survival, like a suffocation mechanism. Now there is a ray of hope which makes the work of freedom fighters like Kathadra not useless. ESCWA won’t let it go. They are currently working on a report on Israel which will equate the country’s economic impact on Palestinians to the impact of slavery on the US: https://www.middleeastmonitor.com/20170403-un-report-to-equate-israels-policies-to-slavery-in-the-us/. Rest in peace Ahmed Kathrada.